As the temperature begins to rise, don’t forget about your dog’s increasing hydration needs. 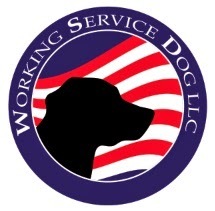 The amount of water an individual dog needs to maintain health varies with the temperature, his level of activity, and his type of food (wet vs. dry). Clean, fresh water should be available to your dog all day; never restrict water to control a urination problem. Consider using a tap or pitcher filter to produce the best water possible for you and your dog. Pay attention to how much your dog drinks during a typical day; a significant increase or decrease from normal may signal a health problem. Call the vet! Dehydration can have serious negative, and possibly fatal, effects on your dog. When you travel, consider taking along bottles of water from home, sometimes unfamiliar water can produce stomach upset in dogs. 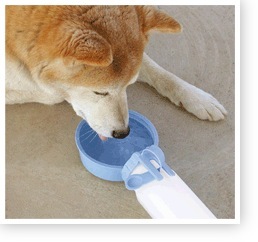 The water rover makes it easy to travel with your dog’s water and has a bowl attached for easy drinking. A hydrated dog is a happy dog! Have fun and be safe out there!